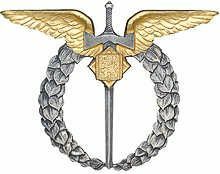 When Germany occupied Czechoslovakia on 15 March 1939, Arnošt Mrtvý was serving in the Czechoslovak Air Force. Within days of the occupation the Air Force was disbanded. Arnošt, like many other of his fellow Air Force collegues, decided to go to Poland to join Czechoslovak military units being formed there. Arnošt went to the train station of Vrbátky, on the way meeting and talking to several local people and to Mrs Kubalíková at the train station – she didn’t want her son Vojta Kubalík to join Arnošt as she was afraid they would both be shot. She pleaded with Arnošt not to ask Vojta to go. Arnošt bought ticket to Olomouc and lied that Vojta would go with him only there and they would both return in the afternoon. However, Vojta couldn’t be persuaded NOT to go. Train left at 7 am and arrived to Olomouc at 7.45 am. 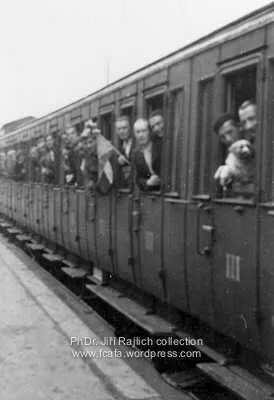 They continued by another train to Moravská Ostrava together with friend Jašíček and an unknown man Eudl, who also wanted to flee to Poland. Arrived at 12:45, bought cigarettes and food and walked across Slezská, Ostrava to Kašovice near Polish border where they slept. The four men walked in the direction of the border in the morning, but had to ask locals where the border was. People were kind but dissuaded them from crossing the border. Then suddenly they encountered a border guard at his watch post, but he wasn’t concerned about them and they walked on heeding the words of a local girl who said the border was formed by a river and an alley of trees. They split into pairs and after 50 mtrs reached Poland. Arnošt sighed the greatest sigh of relief in his life. It was a heavenly feeling, he wrote. They crossed the border at exactly 8 am and spoke to friendly Polish people. It was a most beautifully sunny day and they were happy to be out of reach of the Hakenkreuz and the Hitlerian murderers. They remembered their loved ones and knew they wouldn’t meet them again until after the liberation. They dried their shoes and went to the local pub ‘’U Skutu.” They changed their money and got 1 zloty for 9,50 Czech crowns from the pub keeper. They found Poland very expensive judging by the price of the cigarettes. They continued walking to the main road, caught a bus heading for Český Těšín, paid 1 zloty for a ticket. Mr. Eudl took them to a Jewish parish house in Český Těšín. They each got 1,50 zloty to get to Bielsko and a rabbi invited them for lunch to a restaurant. It was the Saturday sabbath, hence they had Jewish lunch which they didn’t like, but ate it anyway. Took the bus at 12:30 to Bielsko. Here they went to the Jewish parish house again, got food and slept in the Polish country for the first time. Slept well, had breakfast, got train tickets to Krakow in the morning. Tickets were 2,50 zloty per person and were paid for by the Jews. Left Bielsko at 6:45 and Arnošt estimated about 90% of local population were Jews. 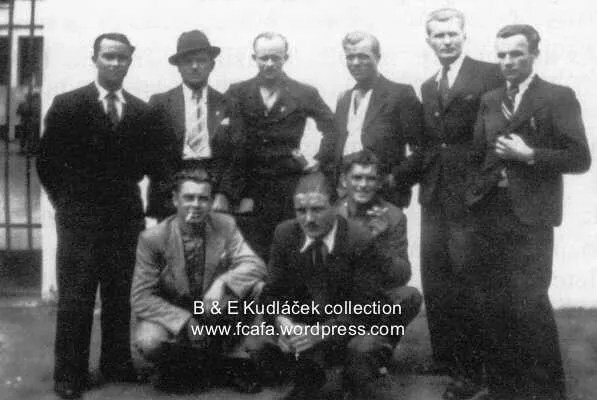 With other Czechoslovak escapee's in Poland, Arnošt is 4th from left in back row. Taking care of formalities (photos), learn French in the moring. Former officers teach us. Then bathing in Wisla where it’ s like on the beach (many people). 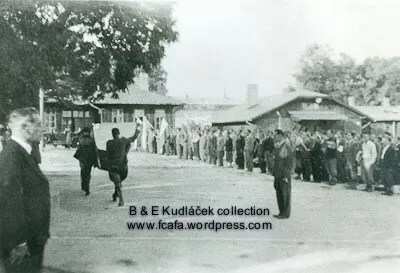 Malý Bronowice, Czechoslovak airmen assemble in exile to carry on the fight with Nazi Germany. All in civilian clothing after their escape from their homeland. Many of them were never to return. “Today we move to a hut camp in Bronowice, only 5 km from Krakow. The rest is as per usual. We sleep on plain hay, no blankets unfortunately. We see beautiful countryside from this place. In this hut are accommodated pilots, artillerists, infantrymen. The food is good here. Military life has started here. I meet Vojta Kubalík every day and we remember home and acquaintances together. Too bad we can’t write home. Surely they believe we’re dead…In Krakow we got 1 zloty each day. In Bronowice no army pay at all. Czechoslovak airmen en-route from Krakow to Gdansk. We went to Krakow railway station. There we took a train at 19:30 for Gdynia. It was raining all the time. Before arriving to Gdynia, we were surprised by the amount of swamps, forests and great lakes. Arrival to Gdynia at 9 am. It keeps on raining. Town is beautiful. We had lunch here and afterwards went to the customs office where they were checking out our lads. I didn’t have anything to show. A famous pilot-acrobat , 1st Lt Novak, is amongst us. We also saw here the famous Polish tennis player “Kiepura” and his wife. 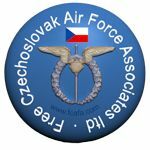 Several pilots from our group stayed here, amongst them from 1st regiment Technical Sgt Murcek, Technical Sgt Flekal and fellow countryman Sgt František from Otaslavice, near Prostějov and other mates stayed in the Polish army with the Air Force. I decided for France. We got a message in Gdynia, that the Polish government decided as follows: who wants to, can stay in the Polish air force under certain conditions. I decided for France. I don’t like the Polish Army, it is poorly equipped. I firmly believe that Hitler will attack Poland and of course will meet with a bad end. I don’t want to be escaping for the second time. Poland is terribly militarily equipped. As far as Polish bombers, they are the best in the world, but the rest…isn’t worth anything. Polish cigarettes are terrible. The bread is awful. The food consisted only of potatoes, beer was bad. We run to the deck in the morning and in awe watch the German shoreline on our left. We are sunbathing. Food is excellent. We feel we have been on the sea for eternity… At dusk we slowly enter Danish waters. We raise the Danish flag and we are in the harbor – Copenhagen. Copenhagen – wonderful town. We skirt small island which make unforgettable impression. 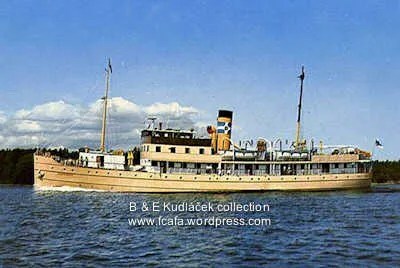 We meet the first German merchant ship flying the hakenkreuz. The crew of that ship was probably surprised that we didn’t greet them (even though we do it to all the ships we meet). We skirt the shores of Denmark and stop in Frederikhafen. So that in the morning of 28th July 1939 at 8:10 am we were in Denmark. The weather is fantastic with burning sun so that I got sunburned. We got a huge crate of ice cream from some gentleman who gave it to us when he found out we were Czechs. We left the port at 14:15 pm, the sea is restless and plays with our small ship, which is only 50m long, but only has 1st and 2nd class and that’s why we live like barons. Sea restless, it rains, brief storm with lightning, we think we sail in milk as we can’ t see anything at all. We are lead by our experienced captain, who has spent 32 years at sea. He is praising us that he hadn’t had passengers like us before, others would be vomiting in this storm, but we got used to the sea quickly. We know we are leaving the Danish shore and entering the German waters. The storm got so bad it seems we will have to land in Germany. But the captain of the ship knows the significance of our journey and therefore said that he would sail on even if the ship had to sink. He knows very well what fate would await us in Germany. But the night was calm. In the morning we run on the top deck and we see endless sea, sea, sea everywhere. No shore in sight. It makes strange impression at first, but one gets used to everything. Everything is normal, we travel at 20-28 knots. We know that we already go through La Manche and on the right is England..At night at 3 am on 31st July we stopped in French waters. French flag is raised. We wait for sunrise, we are all awake. We wait for the pilot, but he doesn’t turn up until 8:30, so we didn’t land in the French war port until 9 am. We say good bye to the crew and get off on the French soil. First steps on land were strange for us, we swing as we were used to do on sea. Here we saw the first French soldiers. 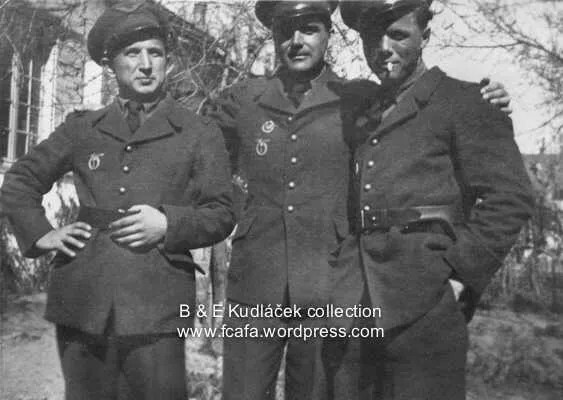 We were surprised by their uniforms, the cut and everything resembles the Czech Army. We had a very good breakfast. Hear strange language. We each received 15 Fr. Then we boarded a train. They have super equipped wagons. We are all surprised by the hospitality. We left French port Calais on 31st July 1939 at 12:30pm. Trains ride here at amazing speed about 100 -110km/hr… we feel that soon we must be in Paris. We see the Eiffel Tower from a distance. We arrived to Paris at 17:30 pm on 31/7/1939. We are welcomed by our people, that means Czechs who left home country earlier. 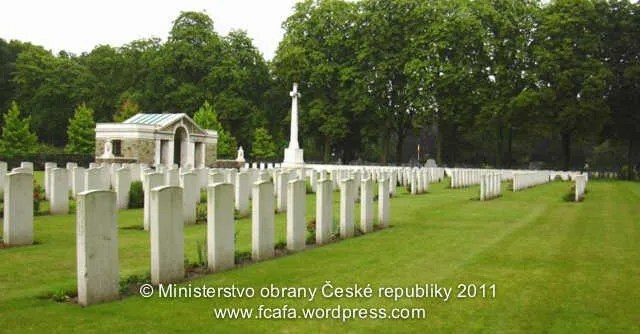 Amongst them I see Lt Mrázek of 33 Sqn and Lt Zbořil of 14 Sqn, part of 2nd Flight Regiment Olomouc. They are in civilian clothing just like ourselves. They transported us in lorries across Paris to the barracks. The journey across Paris was interesting…It’s blatant that local soldiers salute too little; on the contrary they are dandies with hands in their pockets… Many restaurants at each corner. As far as women, they wear make up like dolls, but they are pretty. Wine is cheap here, about 2,50 Fr per litre which equals about 2 Czech Crowns. One cannot be surprised to see so many tipsy people…There are plenty of brothels, you can see orgies here and one is right ashamed – it is like an animal. Paris at night is a chapter on its own, I don’t even want to mention it….We stay in the part of Paris called Exelman or Paris XVI. The house where we live is a former cigarette paper factory Zig Zag. This house is in Rue Erlanger 60. The occupants are uniquely Czech pilots. Besides us there is a garrison of 20 Frenchmen, who guard here. We are billeted quite well. We sleep on paillasses on the floor, and have 3 blankets. We have breakfast in the barracks of “Capt Guynemer”, a famous French pilot. (Otherwise it’s also the Ministry of War – aviation). Next to the barracks is a factory airfield. Breakfast is usually at 7 am and we have: black coffee with ½ chocolate bar, or cheese and bread, which isn’t like ours, it is white and tastes like rolls. Lunch from 12 to 2pm and dinner at 7 pm also here. That there is plenty of food – enough to say that after lunch it’s like a stable here, a lot of garbage….We look forward to lunch – there is enough and we arrived from Poland skinny like greyhounds. As far as myself is concerned, I had 62kg, even though my normal weight is 75kg. We have steak for lunch, half raw as is common in France, then cheese, wine, tomatoes, bread, soup, sardines, fish and so on everyone eats what he wants and always eats well. The same for dinner. Our boys drink wine like water. The wine spoils us. So far we do nothing and as far as wake up call is concerned, there is none, one gets up whenever and it’s the same in the evening, some come home all night long, even in the morning. I also suffer consequences of sunstroke. I had fever, and that was fatal as I got terrible fever blisters on both lips and couldn’t eat. As far as language is concerned, some of the guys are chatting already. The French admire us. The prostitutes fought among themselves to be with our guys (the beasties wanted to raise their rates to 15-20 Frs, but it didn’t happen. Ordinary rate was 10 Frs. We also have very severe pilot physical examinations – the wine influences blood pressure.) Otherwise all the formalities are repeated, like photography and ID cards…Every now and then we remember Poland and how the other comrades are doing, who stayed there. Every day we remember our families and dear ones, how they are doing in the distant home country under he yoke of the hakenkreuz. I am afraid to write letters because there is a severe censorship. I musn’t write that I am learning French…. Karel Šťastný, Bohumil Netopil and Arnošt Mrtvý with l'Arme d'Air, 1940. 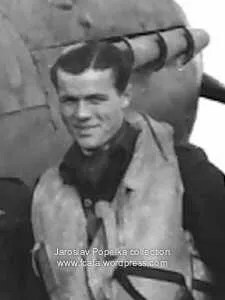 When France capitulated, Arnošt was successfully evacuated to England where he joined the RAF as a Volunteer Reserve. He was posted to 313 Sqn. At about 19:00, on 19 April 1944, whilst on Ramrod 753, escorting a formation of Marauder light bombers, his Spitfire MJ558 was shot down by a Luftwaffe Fw-190A. He bailed out but whilst descending in his parachute, he was shot at by a German flak unit and killed. 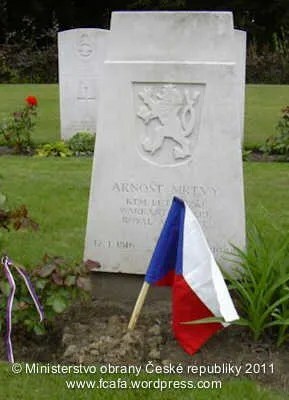 He is interred at Schoonselhof Cemetery, Antwerp. The assistance of Dr. Jiři Trojan, Marc Segers, Milena Kolaříková and Ministerstvo obrany České republiky with this article is very much appreciated. Article last updated: 6 May 2013. This entry was posted in France, Into exile, Poland. Bookmark the permalink. I have 2 photos of SGT Mrtvy taken by my father Eric Buckie who was attached to 313 Squadron. Sgt. Arnost Mrtvy is mentioned in the book ´Vzpominky na padle kamarady´ by Frantisek Fajtl, the Mlada fronta Publ. 1980 in a story dedicated to another member of No 313 Sqn F/Sgt Prokop Brazda.